Cost to install ceramic tile floor varies greatly by region (and even by zip code). Get free estimates from flooring contractors in your city. Cost to install ceramic tile floor varies greatly by region (and even by zip code). How much does it cost to install ceramic tile floor? Ceramic tile floors are a popular option for many areas of the house. For this example, we'll look at installing glazed ceramic tile floor in a 32 square foot bathroom. The cost for this project averages $700-$900. It is recommended to hire a professional for this project instead of attempting to do it yourself. 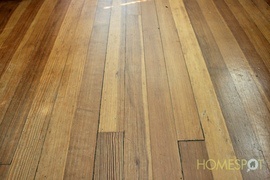 Preparing the floor: this includes an assessment of the existing floor and subfloor 1. 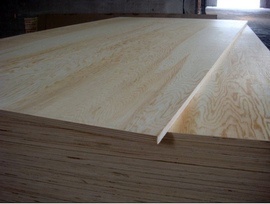 If replacement of plywood 2 or joists is necessary, the costs would include $22 per 4'x8' sheet of plywood 2. This bathroom would require two to three sheets of plywood 2 for a total cost of $70. Ceramic tile: the material averages $5 per square foot. It is recommended to always purchase 10%-20% more extra tile in case of breakage. Total cost (including extra materials) for this project would be $350. Labor: most tile installers charge based on the size of the space, not the time it takes. Expect to add $5-$10 per square foot in installation costs or a total of $160-$320. Installing a new tile floor is a good time to add a floor warming system. 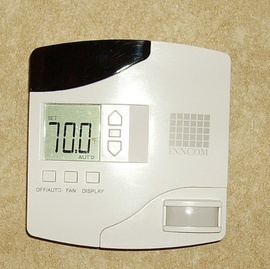 The cost averages $410 for a 30 square foot mat that is installed under the tile, as well as the optional cost of a thermostat 3 or timer, which adds another $75-$200. If you need old flooring removed, plan to add an extra $200-$400 to your total. Many tile installers won't be able to replace subflooring 1, which means you may need to hire a professional carpenter, who will charge $70 an hour but can fix the problem within just a few hours. How much does it cost to install ceramic tile floor in my city? Cost to install ceramic tile floor varies greatly by region (and even by zip code). To get free estimates from local contractors, please indicate yours.